They Say Blue won the $25,000 Governor General's Literary Award for children's literature — illustration. Jillian Tamaki has been creating comics for adults and teens for over a decade, collecting the literary world's top prizes — Eisner Awards, Caldecott Honors and Governor General's Literary Awards — along the way. 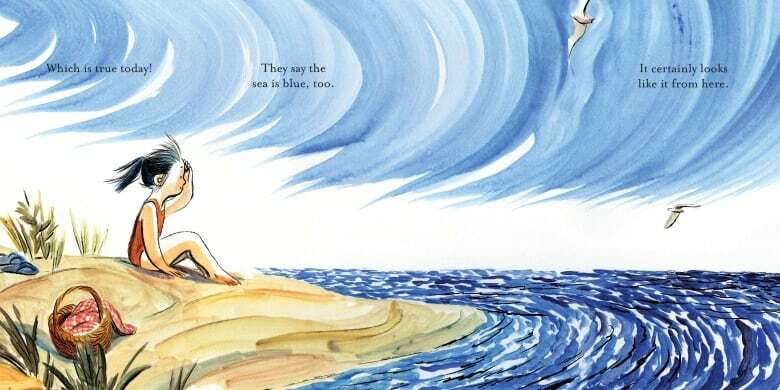 Her first picture book, They Say Blue, explores colour and perception through the eyes of a young girl. It won Tamaki her second Governor General's Literary Award and was described by judges as a "sweeping, joyous book" that "makes one's heart sing." 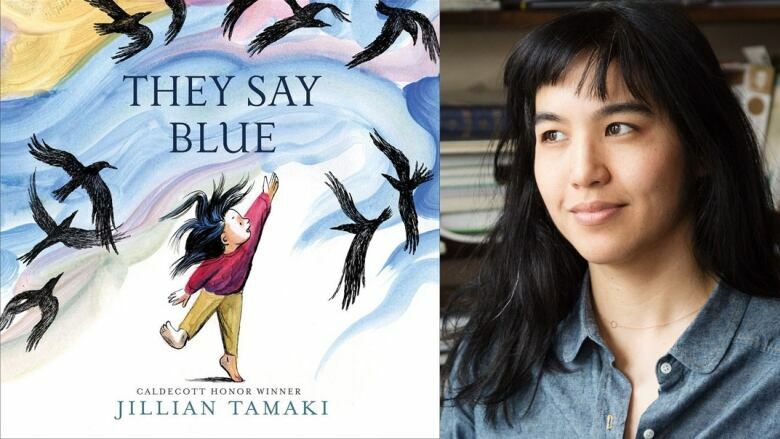 Tamaki previously won the Governor General's Literary Award in 2014 for her illustration work in This One Summer, a YA graphic novel written by her cousin Mariko Tamaki. On the day her second win was announced, the Calgary-raised and Toronto-based artist spoke to Doug Dirks on the CBC Radio show The Homestretch. "They Say Blue is a meditation about the ways we move through the world. It's about our perception and how that's coloured by what we know, what we don't know, how we feel, what people have told us and questioning some of those things. It's about exploration and observation, which kids are very good at. "The picture book form is a storied, classic form. I work in comics and graphic novels and that's a pretty new-ish form. As an illustrator, technically speaking, [the picture book] was a form I was intrigued by and wanted to try. With every new book and new demographic that you make stuff for, you engage with that reader. I was up for that challenge of talking to a different audience." "This win is different, mostly because the books I have done before that have won or been nominated for Governor General's Literary Awards have been with my cousin and they've been collaborations. When you work with somebody else, there's an alchemy that happens. Your contribution and their contribution mix to make something you couldn't have done on your own. When you're working on your own book, you are responsible for all its successes and failures." "Comics and illustration has just exploded in the last 15 years. I graduated from the Alberta College of Art of Design in 2003. When I first started making comics, they were just for me. I was trying to understand how to make art. Eventually I got into the indie comics scene and was talking to other creators and artists in the underground niche culture it was back then. It's grown in popularity and I've been lucky that my career has coincided with that. I couldn't even imagine how popular it would become. Now I'm talking to a wider group of people, including kids, and that's a big challenge to get out of your comfort zone and talk to people who are less and less like you." "I'm doing more kids books. I'm definitely going to do more comics for adults and teenagers, but I'm in that picture book mode. It's such a puzzle. It's a very defined form in terms of size and number of pages, so it's very puzzle-like and I'm very intrigued by it. I'm focusing on that for now." Jillian Tamaki's comments have been edited for length and clarity.